Additionally, I told you that there would be some news about our course “Unlocking the Grandmaster’s Mind”. Regarding that, I’ve been receiving feedback from some of my students saying that they find it difficult to understand the ideas provided in the course; and a few of them requested republishing the course with some of my own teaching methods and ideas, in such a way that would be easy for them to digest. Therefore, we’ve decided to update the course and release its second edition! Hence, you can easily digest critical and powerful ideas, and these will improve your play right after the study of the course. 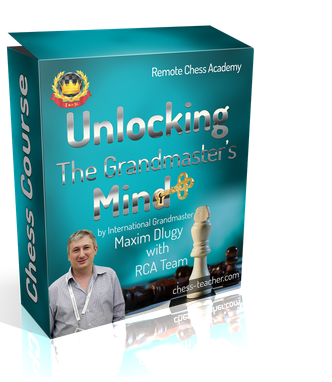 Therefore, I’m very happy to announce that the updated course “Unlocking the Grandmaster’s Mind – 2” has been released today! Additionally, to celebrate this special occasion, I’ll be providing you with a 20% DISCOUNT on the course. The discount coupon is “20GM2” and will be valid from today (28th Mar.) until 31st Mar. (inclusive). If you don’t know how to use a discount code, please see here: LINK. Have you already bought the first edition of the course? And do you want to study the second edition? 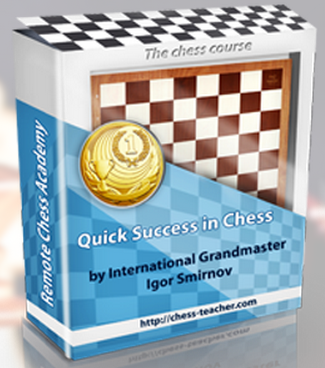 You need not worry at all, because you will get this second edition of the course “Unlocking the Grandmaster’s Mind – 2” for FREE! Note: The students who bought the first edition of the course have already been contacted. If you’ve bought the 1st edition, but still haven’t heard from us, please check your spam box or contact us (LINK) and we’ll send you “Unlocking the Grandmaster’s Mind – 2” for FREE! P.S. Don’t miss this great opportunity – the course has been updated for YOU; we’re giving you what you asked for! Get the course: LINK. Have fun and good luck! Today I have a couple of important things to share with you. First, I’ve published a new video lesson “Mikhail Botvinnik’s winning method” for you. If you enjoyed the lesson, please share the video with your friends and write your comments below. We released our course “Unlocking the Grandmaster’s Mind” about 2 months ago. It was prepared by GM Maxim Dlugy, along with the RCA team. Although many students found the course instructive, we received mixed feedback about it from students. Some of them were happy, but others didn’t like it that much. In fact, GM Dlugy has provided a lot of valuable ideas, but he did not structure them clearly enough. That’s why some students found it hard to digest the material. I just wanted to tell you that there might be some upcoming news about this before the end of this week. Therefore, I suggest that you stay tuned! P.S. I’m considering visiting one of the following counties: Malaysia, Thailand, Bali (Indonesia). If you live in either of them – please, send a message to my e-mail: gm.smirnov2014@gmail.com We might meet each other soon. Recently, I conducted my first live ‘Ask me anything’ (AMA) event on ourFacebook page (LINK) and I’m glad that many students took part in the event and had a great time there! Moreover, the questions asked were also quite numerous, so that I almost answered every question in a ‘hurry’ throughout the event. I hope you enjoyed the event and, most importantly, that it was useful for you. Therefore, today, I would like to share with you the ‘highlights’ of the event – theinteresting questions and answers. Question: How can I get an advantage over my opponent who’s also aware of the strategic base principles? Question: What should I do when I’m drowning in calculations? Answer: “If you find yourself in a pit, firstly stop digging.” Recollect the fundamental positional principles and move accordingly. Question: GM Igor, who is your favorite chess player? Maybe list your top3 choices in their order that influenced your chess most. Answer: Capablanca is great in positional understanding. Tal and Nakamura are suitable for mastering attacking/dynamic chess. I’ve had a lot of chess heroes in different phases of my chess development. Question: I can afford 6 hours a day. How to train efficiently? How much time should I devote to opening preparation, middle game, tactics and strategy, end game? Question: In some games, I reach a point where I have no attacking move or logical move – I feel that nothing is left in the game. How can I proceed in such cases? Answer: Think about every piece that you have (one after another). What is the ideal position for your every piece? Pick the piece that is the least active (compared to the others) and improve its position. To be honest, almost each and every question was interesting, but I can’t put them all up here. Therefore, you can find such interesting questions and answers, which might be useful for you, on the ‘AMA’ event post on our Facebook page(LINK). Moreover, I provided a 15% discount on all of my courses to those who participated in my ‘AMA’ event to thank them for their interest. As the event went so well, I’ve decided to extend this gift to everyone for the last 2 days. Date: Sunday, 22 March at 3 p.m. (15:00) GMT UK time. *Registration will close 2 hours before the webinar begins. 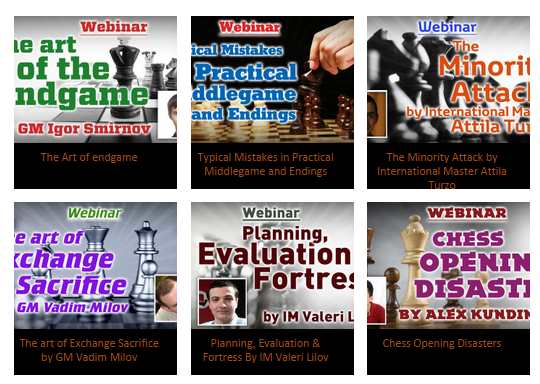 To know more about webinars, tickets, click HERE! You might be aware of the fact that the legendary Garry Kasparov became agrandmaster at the age of 17. Some might have thought that it would take years for someone to break this record. But a young talent from Norway - Magnus Carlsen, who became a GM at the age of 13, which is amazing, too! There are also some other players who established their potential in chess and became GM at a young age - for example Karjakin, Negi, Radjabov, Caruana, Giri, Leko and so on. And we may notice that the list of young talents in chess is indeed huge. But the question is – how do they develop their minds and keep progressing atyoung age? Most importantly, how can they do so very naturally? Is it because they were born special and became a chess master at an early age? However, their interest in, passion for, and dedication to chess are the most important factors for such glories. How do some players become a master at an early age? What are the key factors for their success? He will reveal about the chess talent of great players like Aronian, Naidistch and many more. Most importantly, how can YOU establish your talent in your games. P.S. Please note that seats are limited to 100 students. If you wish to participate – please register NOW.